At Moto Tec we offer a variety of garage services; not simply checking your tyres. We carry out servicing, brake checks, clutch and battery and fluid level checks as well as full and interim services. Here at Moto Tec we aim to provide you with the most affordable services around. Have a look at our MOT offers. 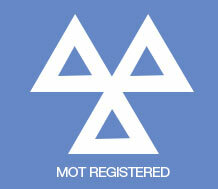 We are a fully registered MOT centre for Cars and Motorbikes, even Trikes. Registered for class I, II, II and IV MOT testing. At Moto Tec we like to give out special offers to our customers weather your local to Boldon or travel from Newcastle or South Shields we will give everyone access to our offers. Motor Codes is the government – backed, self – regulatory body for the motor industry. The Service and Repair Code commits garages to an ope, transparent and fair method of business, aiming to maintain consistently high standards across the industry. By subscribing to the Code, Moto – Tec MOT is demonstrating its commitment to operate as a responsible business and deliver high levels of customer satisfaction. In November 2011, the Service and Repair Code was awarded full Office of Fair Trading approval and now operates as a Chartered Trading Standards Institute approved code.Giving you the confidence that, with a Motor Codes garage, you can be sure to receive professional, reliable service. Moto Tec is you local garage and MOT centre providing all the skills of your main dealer at low prices. All our work is carried out by trained technicians with over 25 years of motor vehicle experience. We aim to provide full customer satisfaction and offer a friendly service, fully guaranteed. We can even collect your vehicle from home or work. Moto Tec are under new ownership and management. Have a look at our special introductory offers. Copyright 2016 © Moto Tec MOT LTD All Rights Reserved.